PHP 4 became, in the year 2000, a real support for dynamic websites and web programing. The PHP structured programing language is one of the most valued when it comes to programing web pages, due to how easy it is to learn as well as the speed that it provides. The Zend Engine 1.0, a great step forward in what regards to functioning and speed, was integrated into PHP 4. PHP 4 extensions are usually associated to a web server and communicate with databases, like MySQL and PostgreSQL. 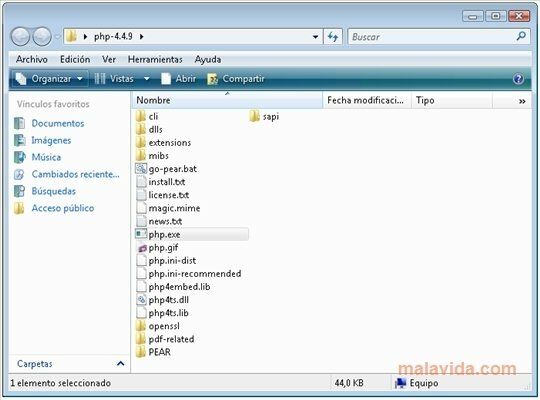 How PHP 4 works is very simple and except in special cases, it goes together with HTML to allow us create webs, the contents of which are generated automatically attending to the petitions of the browsers or the web server. One of the greatest advantages of this programing language is its similarity with others like C or Perl, something that guarantees quick learning and functional implementations even when our knowledge is basic.